Urantia Book -  An epic journey of new discovery so fantastic that our natural instinct would be to block it out. 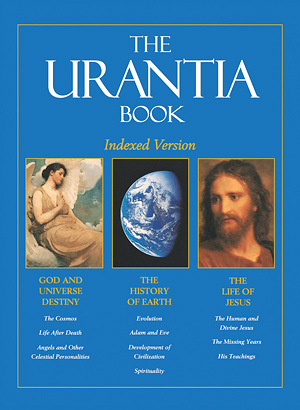 With respect to the doctrine of scriptural inerrancy, the Urantia Book teaches that all things which pass through the minds and hands of men become to a greater or lesser extent human, and that no book, the Urantia Book included, contains The Final Truth. Revelations of truth like the Bible and the Urantia Book proceed from God, but no revelation short of attaining the Father himself could ever be complete. Moreover, God did not stop revealing himself to his earthly children in the first century AD. We should honor the sacred writings of every religion, but not blunder into the quasi-idolatry of making them virtual objects of worship, something God never intended them to be. God is the source of truth, not ink on paper, whether in the form of the Bible, the Urantia Book, or any other writing. A book can be a faithful representation of higher reality, but it isn't the reality itself—otherwise it wouldn't be a book. The road map isn't the highway. How to get startedYou can read The Urantia Book online.